Note 1: Alexander Baumjohann and Patrick Ziegler made their debuts for the Wanderers in this match. In. Hoping to see the two new Germans in action. Also looking forward to cevapi. In plus 4, ready for this season. It’s Going to be flaretastic isn’t it? I look forward to having a fully fit squad to choose from & the team in fine form after that match in Darwin plus a fantastic performance against a bunch of Marconi youths. There's at least 6 who are injured or suspended & wont be available for selection. Will be interesting to see who plays in our midfield, as we're struggling to find 15/16 fit players. Trying to buy tickets from the website and keep getting bumped. Could it be sold out already? Have you tried different ticket categories? I've been trying three tickets. Will try with two and see how that goes. Ok, everyone can relax...there was something bogus about my account...so i paid through paypal and it worked. Hearing Kearyn may be available for selection, which covers a huge hole in our midfield. What’s the likelihood of getting a few tickets at the gate? Get there early. The issue won't be tickets it will be the line of people trying to get in, as it is only 1 or 2 turnstiles at the stadium and everyone is coming back from work too. Who's on the injured list? The unavailable list must still include Vedran and Bridge. 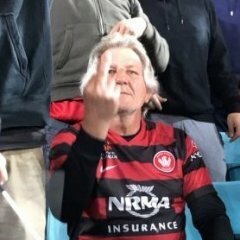 Grozos is obviously out after the FFA Cup game. 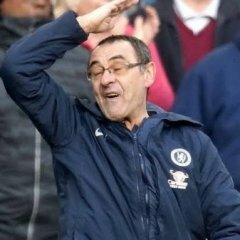 I wonder who else is injured if we are down to? Bench: Suman, Fitzgerald, Elrich, Tongyik/Hamill, ?, ? Rumours that Tass and Majok will be starting. I'd play a back three and just smash their back 5 and holding midfielders with high press man marking. Force them to boot it long. Unlike Darwin where the temperature didn't suit it, this should be a game that allows Das Ubercoach to come out with an extremely aggressive gameplan to blow them off the park in the first 20 minutes. I know our ticket prices have been mentioned before but here are the FFA games this week and ticket prices (A League teams). Practically a home game for us. Apparently there is an Olyroos camp being held in Canberra. Are we missing players because of the camp? If so, who? Is this the main Fox game? Against Blacktown City last season it cost me $50 GA for 2 adults and 2 kids. I've paid almost $50 for 2 adults GA for this game.